A little about your self `ie your education Family life etc : My first novel, To Parts Unknown, has just been issued by publisher Taylor and Seale. I am a nuclear engineer, divorced with three children, and have always written as a hobby. I recently obtained an agent, and shortly thereafter, she sold my first novel. My first novel, To Parts Unknown, has just been issued by publisher Taylor and Seale. It’s a WWII thriller set in Singapore and Indonesia. I have always written, mainly as a hobby, but started to write every day a few years ago. I first considered myself a writer when I found a literary agent who was willing to represent me. I wanted to tell a story about ordinary people who are compelled to do extraordinary things because of what they must confront. To Parts Unknown is written in first person, but my subsequent efforts are third person. The novel is really about journeys – the journey that the three main characters take as they flee the Japanese, and their personal journeys to overcome obstacles and shortcomings, striving to be the people they always hoped to be but never were. The title hints that, in either case, they’re not quite sure where they’re going. Yes, the message would be that we are all capable of being exceptional in some way. We all have a talent or gift; we can all make a contribution to mankind, even if in some small way. The timeline and military events involving the fall of Singapore and Java and Sumatra are real. The characters and their actions are fiction. No – they all live in my imagination. I’m a huge fan of Ken Follett and Sebastian Faulks, as well as the classics- Hemingway, Fitzgerald, Dickens. Ken Follett. I have tremendous admiration for him. I have just started Ken Follett’s Edge of Eternity, the last volume of his Century series. My literary agent has just started to present my second novel to publishers. It’s titled, When Darkness Comes, and is set in WWII Paris. The main characters smuggle Jews out of the city, rescuing them from the Nazis. My agent, Donna Eastman of Parkeast Literary. She has provided unfailing support in my writing, and is a constant source of inspiration. Yes, I do, probably after the sale of When Darkness Comes. I would have made Lady Jane Carrington Smythe, one of the lead characters, play a larger role. I got interested in writing in grammar school. Our teacher directed us to write a story. I started writing about a little boy in Italy and found that, once I got started, I couldn’t stop! To Parts Unknown is about a British war correspondent who loses his wife in a traffic accident during WWII. His editor sends him to Singapore to help him escape his haunting memories. While there he meets Thomas Montclair, a French spy, and Lady Jane Carrington Smythe, an English aristocrat, who are fleeing demons of their own. Together they escape from the Japanese, chasing their dreams and eluding nightmares. The challenge for me is starting – finding that time period or character or plot that will keep me coming to the computer every day. My favorite author is Ken Follett. He always has interesting characters, and he’s very good at moving a story along. I’m a frequent visitor to his website, and I admire his discipline. He has a very detailed, methodic approach to his writing. I do travel, although Europe is my favorite destination. I’m especially fond of the UK – and sometimes feel like I fit better there than the US. The publisher designed three covers from stock photos I provided. Everyone liked the selected cover the best. The initial concept. I have lists of books to write – time periods, or characters, or plots, but I normally have a few false starts when I begin a book. I find that a particular idea doesn’t quite interest me enough to do all the research required to bring it to life. I seem to learn continuously, which I suppose is a good thing. I think my biggest weakness is a tendency to repeat things. I am getting better at it, and realize that readers don’t need to be constantly reminded of an event or thing. Although I wrote as a hobby for many years, my writing didn’t improve to a saleable level until I started to write every day. I know that’s difficult given jobs, and kids, and events, etc, but if you miss a day at the computer, at least keep your mind working on what you will do when your fingers again hit the keyboard. Yes – for those that enjoy To Parts Unknown, two WW2 thrillers follow it: When Darkness Comes, set in Paris, and the novel I’m currently writing: In Satan’s Shadow, set in Berlin. I would like to know what other time periods my readers might be interested in. Yes – my first book, and the one that got me hooked on reading and writing, was from the Hardy Boys series and was titled the Viking Symbol Mystery. I like to laugh – especially at myself. I also laugh at little children. They’re very entertaining – a thirst for knowledge and a genuine innocence. I cry easily – normally during a sentimental movie. I’m a great admirer of Winston Churchill. I think he provided the inspiration for the Allies to win the Second World War. I never really thought about it. How about – “Those that knew him will never forgot him.” That statement would at least show that I made a mark on mankind. Yes- I’m an avid amateur songwriter and musician. I play the piano and the guitar. My absolute favorite movie is Love Actually, followed by the Pink Panther. I also like epics – like Dr. Zhivago. I would like to be a songwriter. Available at Barnes and Noble, Books-a-Million, and Amazon. London, January 1942. War correspondent for the London Times, George Adams, is a broken man, devastated by the death of his fiancé and rejected by all branches of the military. His life has come to a dead stop. In an effort to save his career, George’s editor sends him to Singapore to cover its defense against an inevitable Japanese invasion. George’s life is thrown into chaos, starting with a near-fatal air raid minutes after his arrival, and propelling him into non-stop danger. Injured and hiding in the underground, George meets Thomas Montclair, a crafty French spy, and Lady Jane Carrington Smythe, an English aristocrat, who are destined to share George’s adventures. When a Japanese general is murdered in occupied Singapore, Lady Jane becomes the prime suspect and target of an enemy manhunt that spans the islands of the southwest Pacific and the darkest days of World War II. 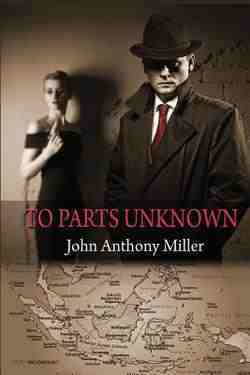 Set amid the bleak backdrop of World War II, To Parts Unknown by author John Anthony Miller tells the story of an unlikely trio of characters – a London reporter, a titled Englishwoman from India, and a French spy – as they struggle to escape the Japanese…and their own personal demons. Devastated by the death of his wife and rejected by all branches of the military, George Adams, a war correspondent for the London Times, is a broken man whose life has come to a dead stop. In an effort to save his career, George’s editor sends him to Singapore to cover its defense against an inevitable Japanese invasion. Starting with a near-fatal air raid minutes after his arrival, George’s life is immediately thrown into chaos, propelling him into non-stop danger. Injured and hiding, George meets Thomas Montclair, a crafty French spy, and Lady Jane Carrington Smythe, a British aristocrat, who are destined to share his adventures. When a Japanese general is murdered, Lady Jane becomes the prime suspect and target of an enemy manhunt that spans the islands of the southwest Pacific and the darkest days of World War II. The trio struggle to escape the Japanese and forget their own haunting pasts, chasing dreams and eluding nightmares, while navigating unexpected love interests filled with conflict and passion. The clearly-defined battle of good vs. evil that characterized World War II. How ordinary people can do extraordinary things when faced with what seems to be insurmountable odds. The ways in which people combat and confront catastrophe – overcoming their own limitations – to survive. A character study of the entire social spectrum of the time: from a London reporter to a woman of British royalty to a French spy. How history repeats itself over and over again. 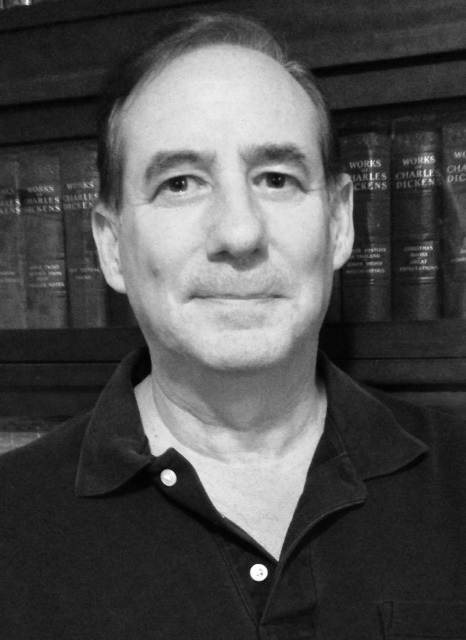 John Anthony Miller has combined his life-long loves of travel, history and writing to create historical fiction thrillers set in exotic locations during eras of global conflict. In addition to being the debut author of To Parts Unknown and a long-time musician, Miller – a proud father of three – is a nuclear engineer currently residing in Southern New Jersey. His two additional projects currently in development, When Darkness Comes and In Satan’s Shadow, will be available next year. To Parts Unknown is available in paperback and ebook from www.amazon.com, www.barnesandnoble.com, and www.booksamillion.com. Connect with the author on Facebook and LinkedIn.